The other big update is the addition of Audi Player Index into Matchcenter as well as other performance and security updates. If you like football (or as we in America call it, Soccer) and haven’t checked out the MLS app, you need to give it a go. The app is designed pretty well with easy navigation and configuration so you can follow your favorite MLS team (for me, that’s the Colorado Rapids) and get live notifications during matches of goals, penalties and other important match information. 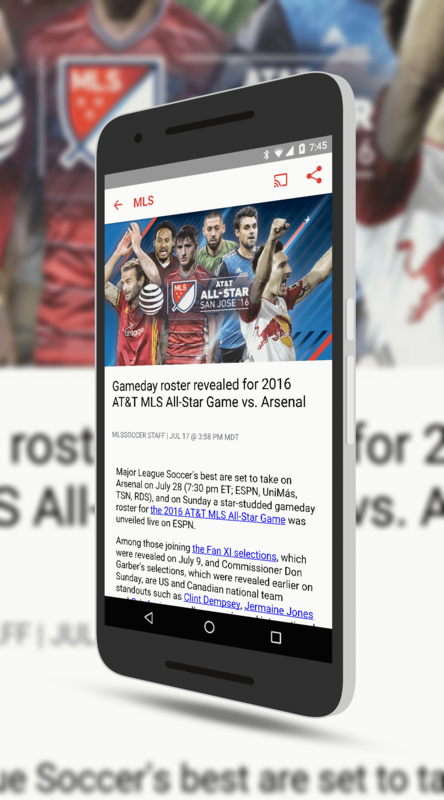 The MLS app is free and available in the Play Store.